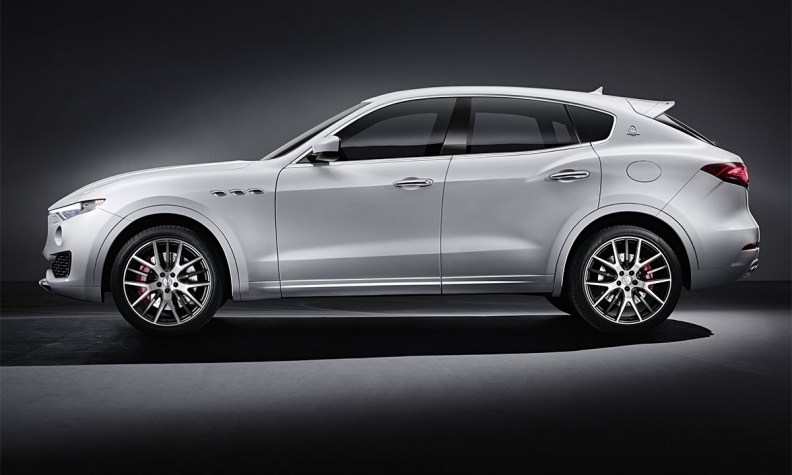 The Levante will offer a complement of advanced driver-assistance systems. NEW YORK (Reuters) -- Fiat Chrysler's premium Maserati brand is developing a semi-automated driving system for its new Levante crossover that also will likely find its way into the company's Ghibli and Quattroporte sedans in the next two years, CEO Harald Wester said. It's a way "to automate the boring part" of driving, Wester said of a new "highway pilot" system that is under development for the Levante and other future Maseratis. The Levante, which just went into production in Italy in late February as the brand's first-ever crossover. European deliveries will start in May. Asia gets the car in July while it arrives in North America in September. The premium crossover is aimed at such luxury competitors as the Porsche Cayenne and the new Jaguar F-Pace. The Levante shares its basic underbody design with the Ghibli and Quattroporte. The Levante also will offer a complement of advanced driver assistance systems, including adaptive cruise control and lane departure warning. Future Maseratis may use some form of electrification, Wester said, including a plug-in hybrid powertrain that could share components with the new Chrysler Pacifica. Wester said replacements for the Gran Turismo and Gran Cabrio are Maserati's next priorities, ahead of the proposed Alfieri sports car. The next-generation Gran Turismo and Gran Cabrio also will share the same architecture that underpins the Ghibli and Quattroporte, he said, a move that should help trim development costs and time to market. Maserati's global sales have flattened the past two years, at around 32,000, compared with an earlier forecast of 50,000 by 2015. Wester said he expects Levante to nearly double that in 2016, adding about 30,000 sales a year, including one-third in North America and even more in China.